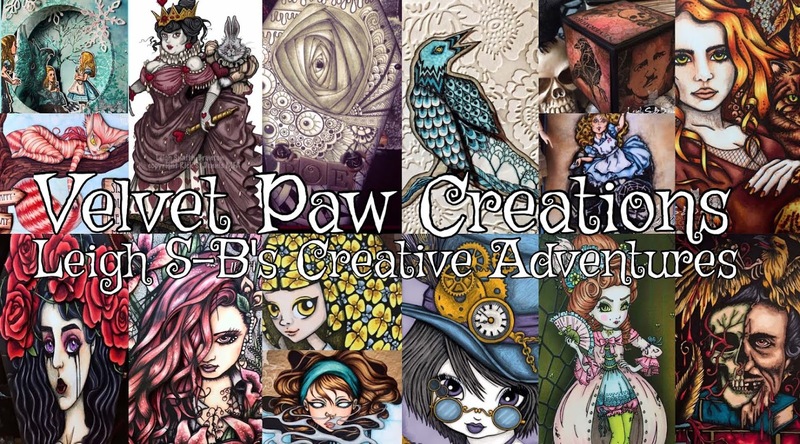 Velvet Paw Creations: Inspirational Mini Note Cards Set - Playing with Words and Images! A Blockheads Design Team Tutorial! 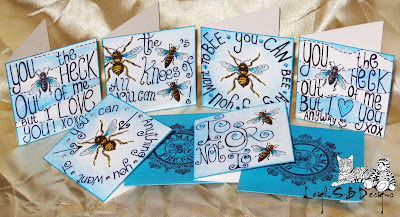 Inspirational Mini Note Cards Set - Playing with Words and Images! A Blockheads Design Team Tutorial! 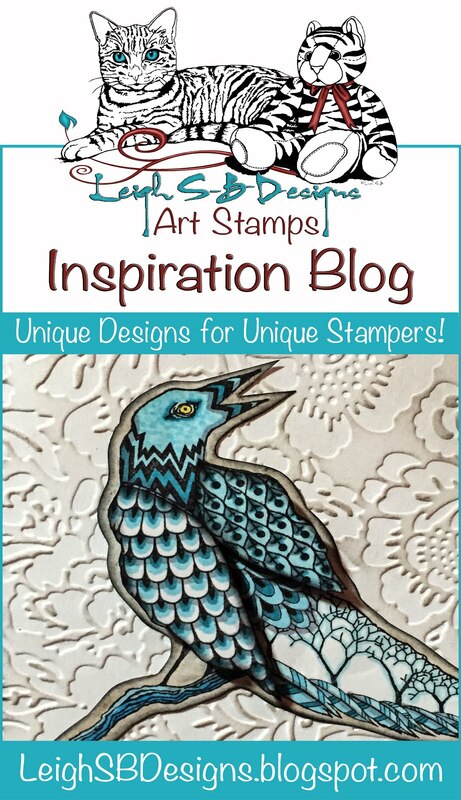 I've designed a cute little note card set featuring Blockheads Paper Arts' Nature Medallions set from their exclusive stamp line! 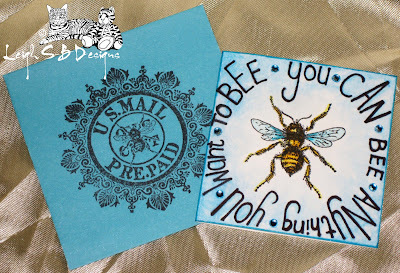 I had a blast creating my own note cards using the Blockheads Fly and Bee images and the awesome US Mail Prepaid medallion! These are truly custom coz I did all my own handwritten inspirational messages on the front and did a play on words by replacing specific words with the stamped images! 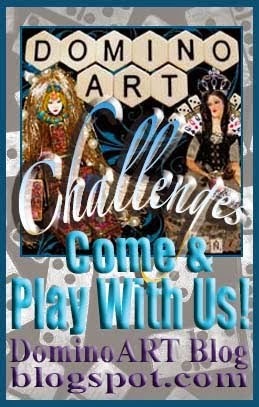 Super fun to do and they make great gifts too! 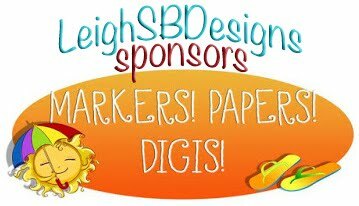 Begin by cutting 6 rectangles from white cardstock measuring 2.5 x 5 inches. 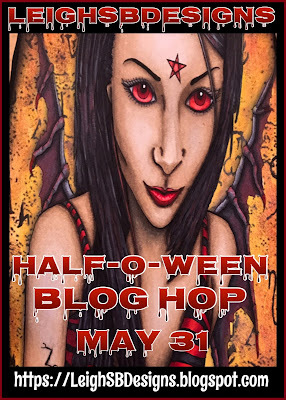 Score them all down the middle and fold in half to form 2.5 x 2.5 inch note cards. 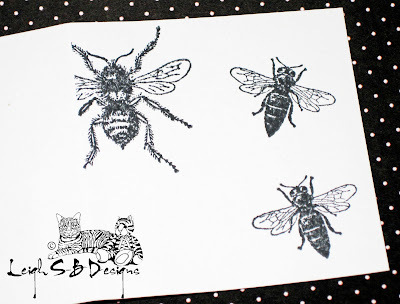 Figure out beforehand what inspirational messages you want to feature and stamp the insect images in Memento Tuxedo Black ink. 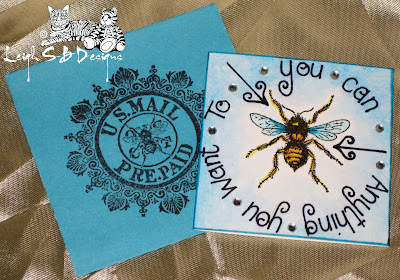 Hand write inspirational messages with a fine point black Sharpie marker and replace some words with the stamped insects. Except for the one in the above picture. 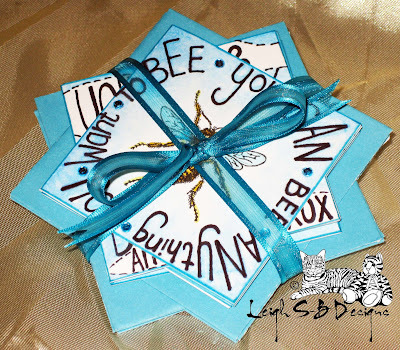 I decided to replace the word 'Be' with 'Bee' and have the featured insect in the center of the design. The following photos show all the ones where I completely replaced the words with the insects. 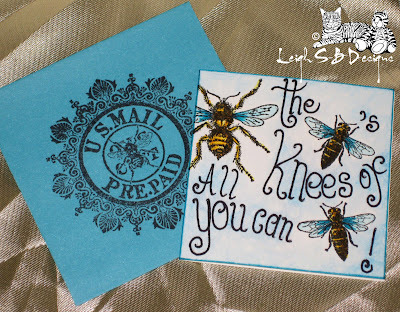 You can also use tiny alphabet stamps if you don't like doing your own handwriting! 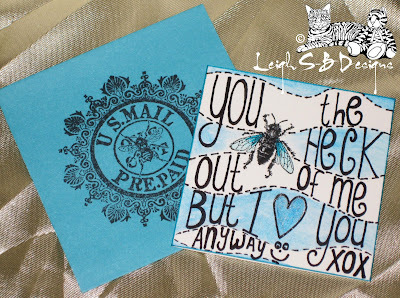 I found these tiny envelopes at Michaels in their $1 section and love the teal colour. 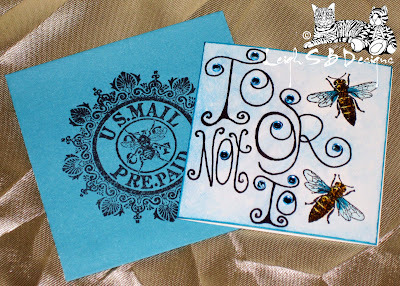 So I grabbed them with this project in mind and used the teal as my colour inspiration for the note cards. 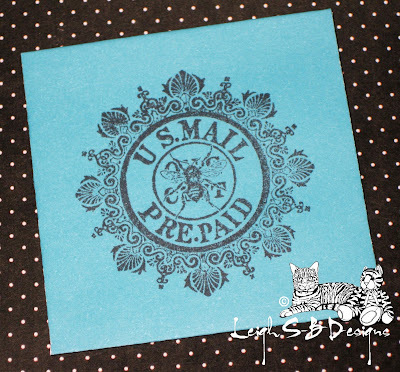 I stamped the US Mail Prepaid Medallion on the front of all 6 envelopes in Memento Tuxedo Black. 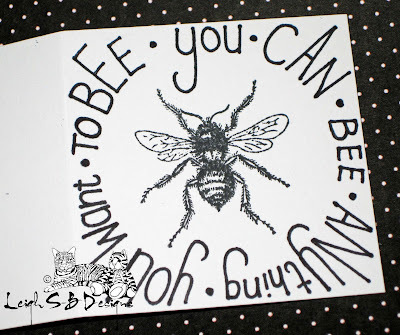 For my inspirational message on the note card above I decided to leave out the word 'Be' and added arrows which point at the Bee in the center instead. 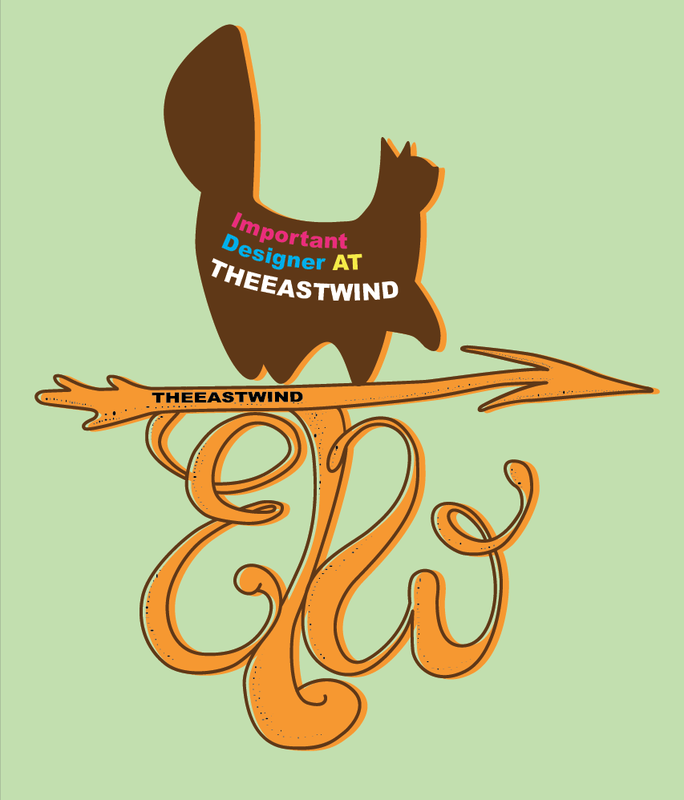 This design is another variation of the first note card above. 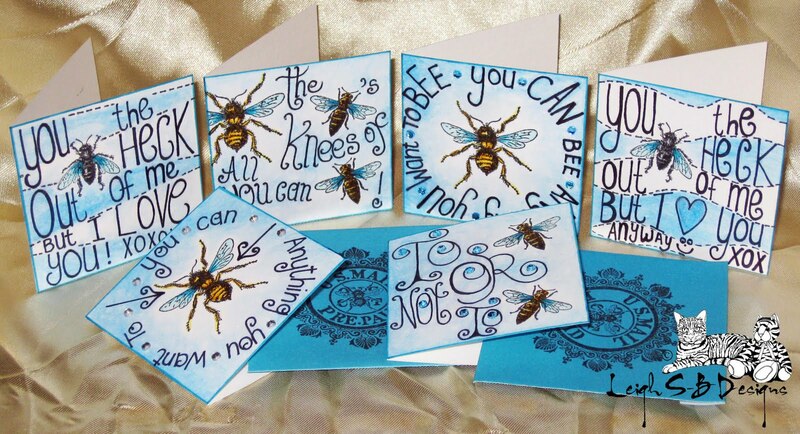 The two note cards above have the same message (with one extra word on one) and show two variations of the same design. Apply Derwent Spectrum Blue pastel pencil to parts of each note card and blend with a Dove Blender Pen. Edge all the note cards with the BG07 Copic marker. 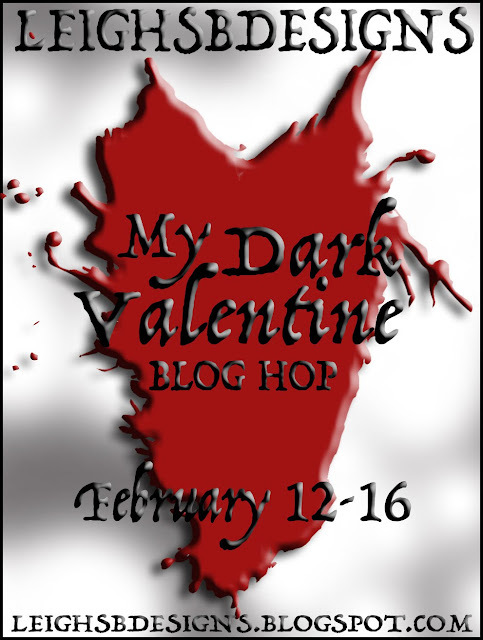 Thanks for stopping by today, I hope you enjoyed my tutorial and that I've given you some great ideas! 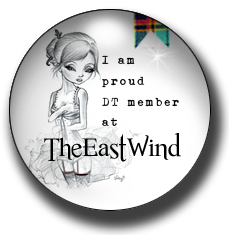 For more Blockheads inspiration check out Karen's blog too! 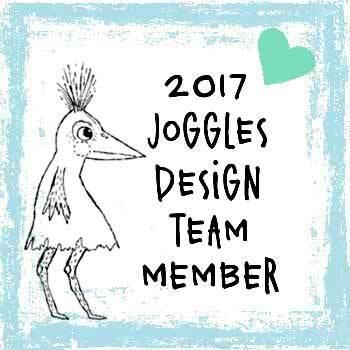 I'll be sharing more Design Team related tutorials and other great projects with you all more frequently from now on so stay tuned! 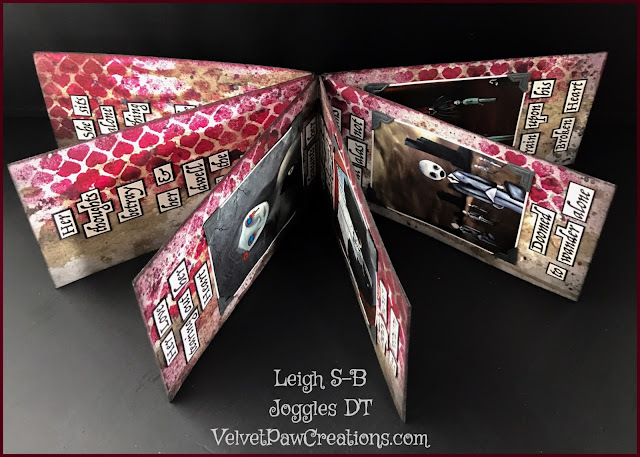 Great projects Leigh!! 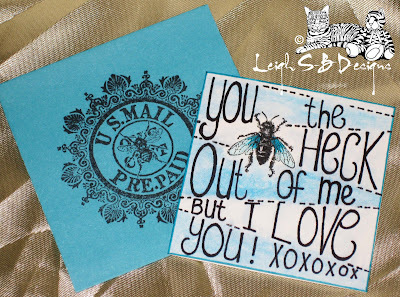 I love how you added the handwritten sentiments. 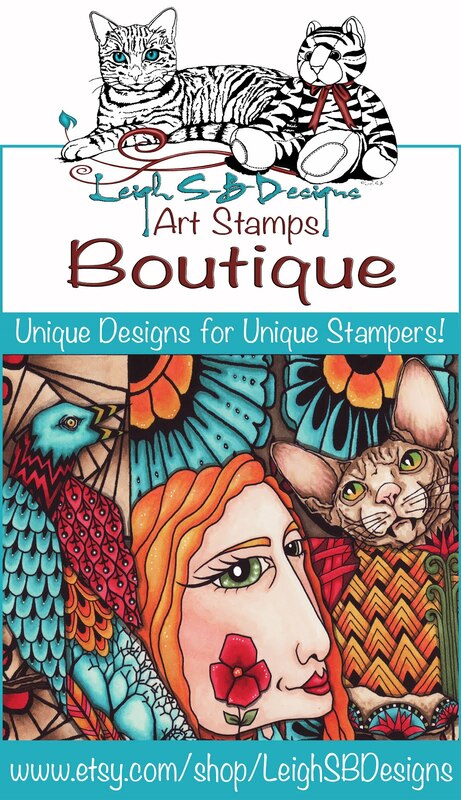 What a super cool way to use this stamp set! I love this. It would make such a great gift set. I don't think you can use the US Postage Pre-Paid stamp on the envelope and get away with mailing it for free... nice try. LOL!